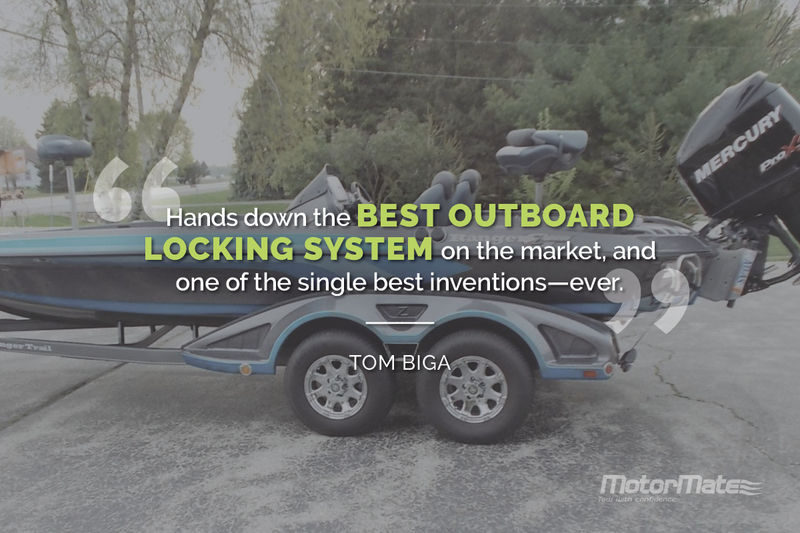 The MotorMate outboard locking system is the single best way to protect your outboard motor transom, steering cables and hydraulics during transport of a boat and outboard motor. 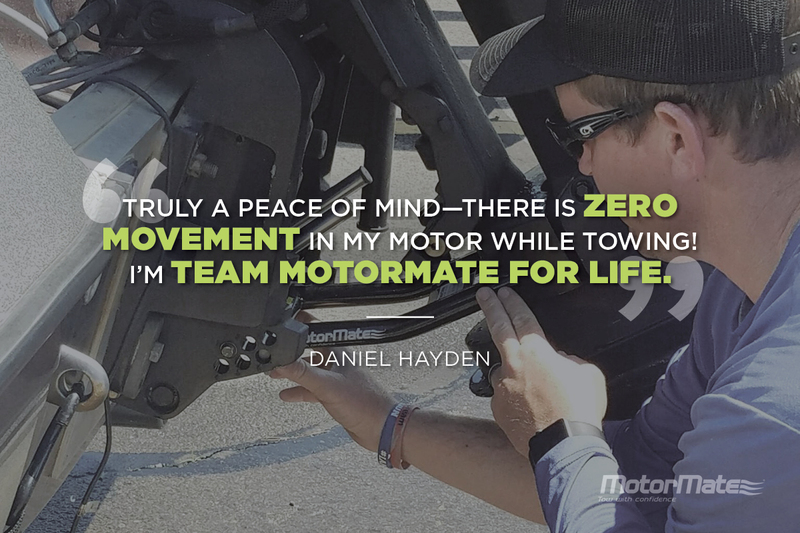 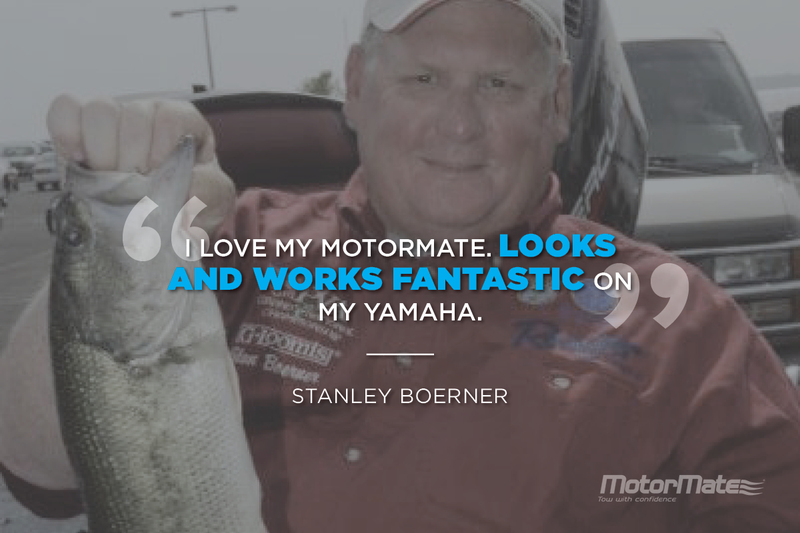 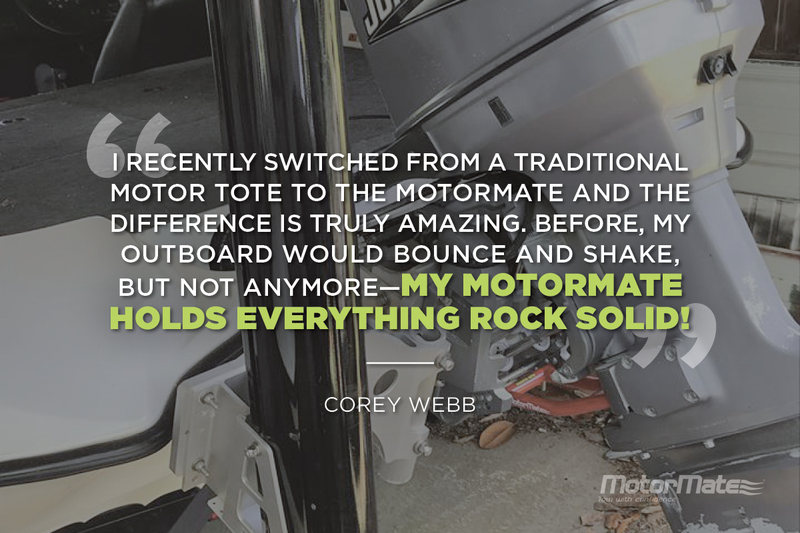 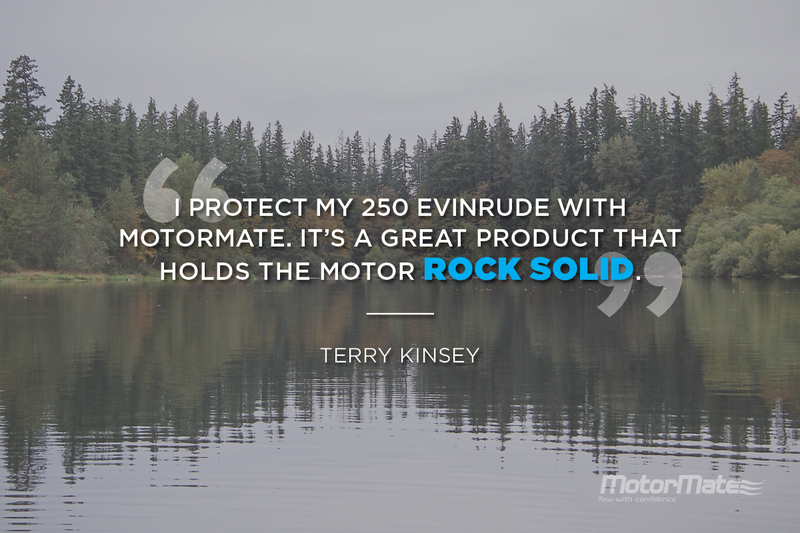 More stable than any transom saver, motor toter or swivel bar, MotorMate is designed to fit snugly to most Evinrude, Johnson, Mercury and Yamaha outboard motors for the very best trailering support. 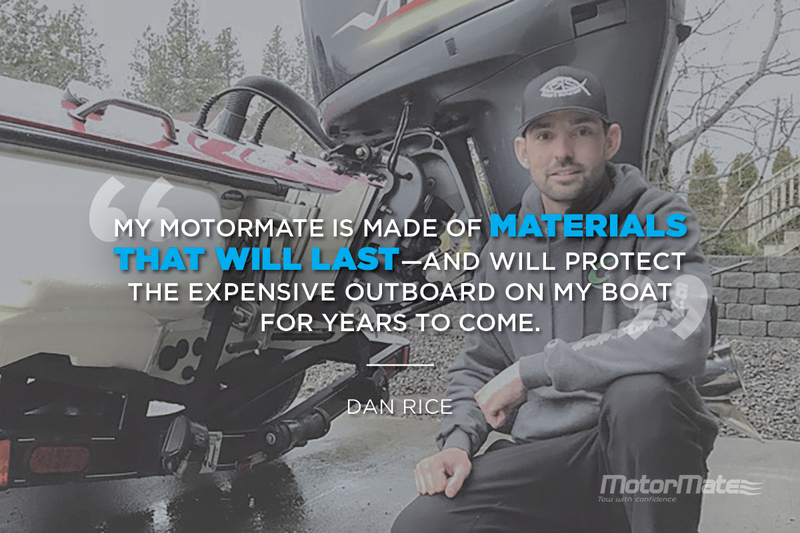 As a boater, you know your outboard motor is a major investment, so protecting it while towing to and from the water is a top priority. 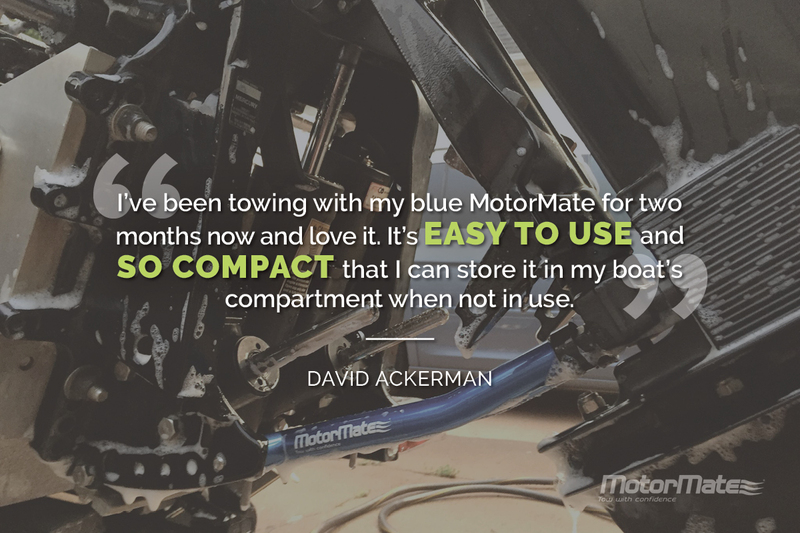 MotorMate helps you protect your investment while towing a boat – both on the highway and off-road – by keeping the outboard motor from bouncing and jostling. 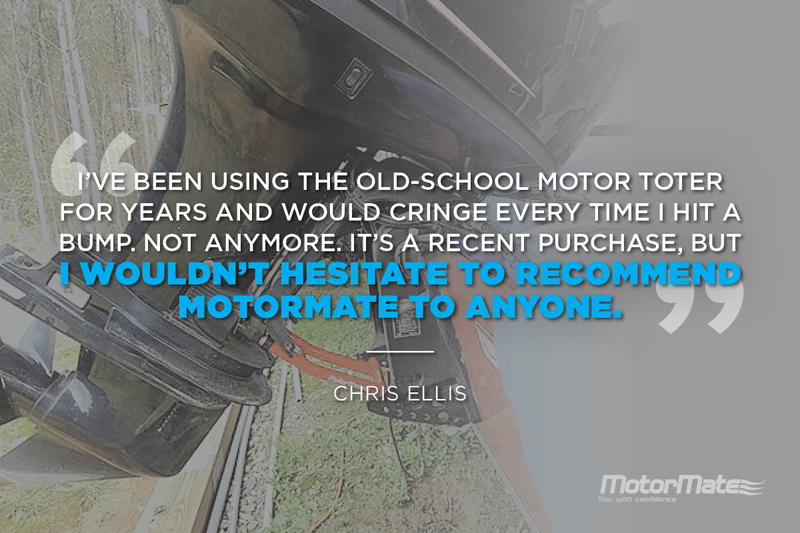 This kind of movement can inflict collateral damage to your engine’s steering cables, hydraulic lines, housing and finishing. 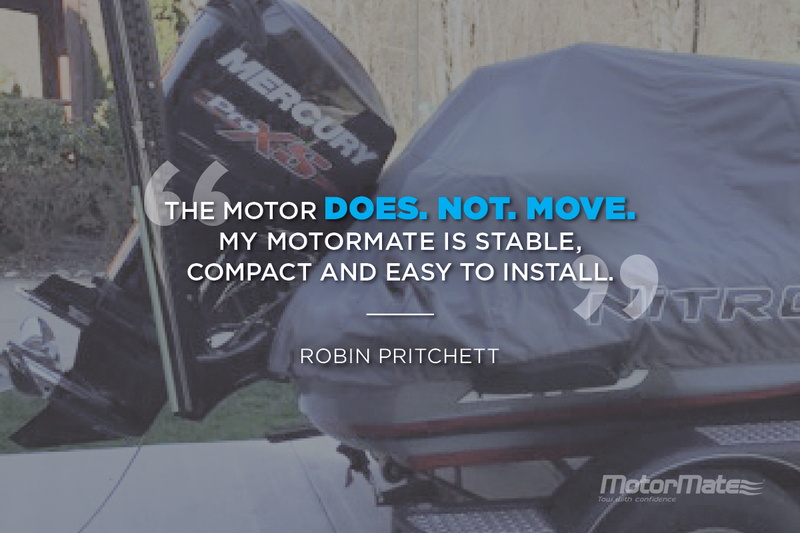 The MotorMate locking system locks the outboard motor in place, preventing costly damage to the steering system and excess torque on the transom, and also releases pressure on the hydraulic system, delivering unbeatable motor support for trailering. 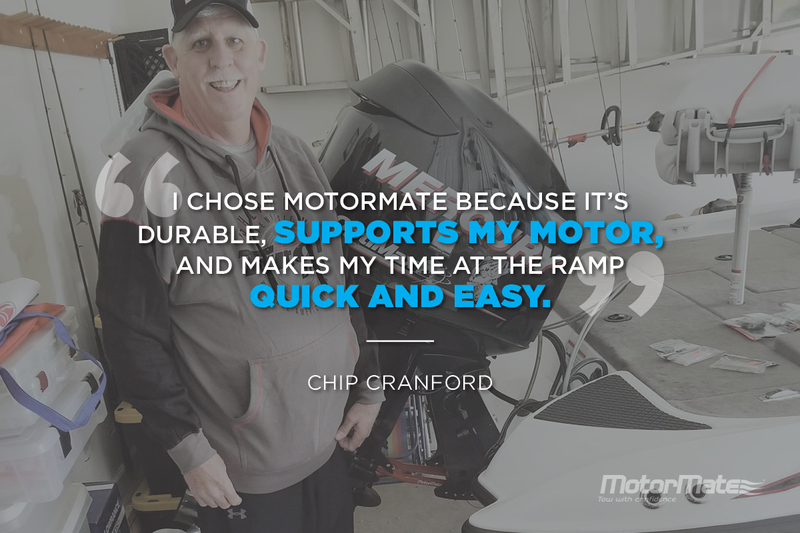 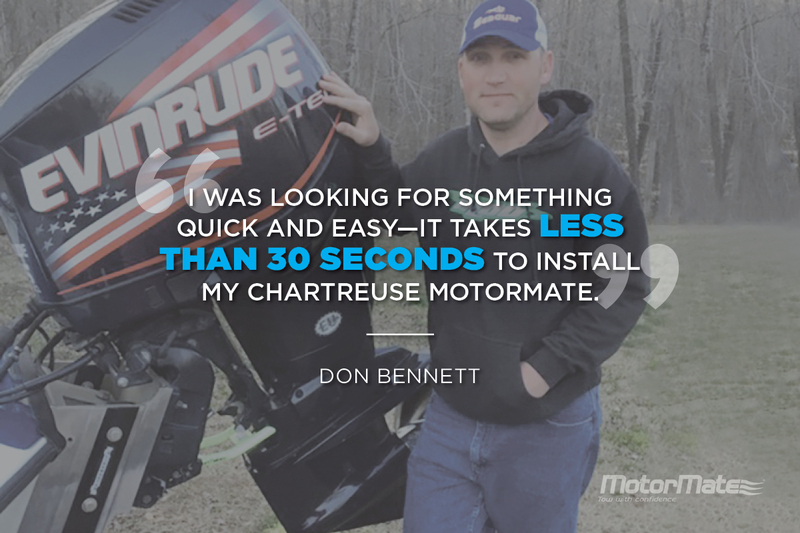 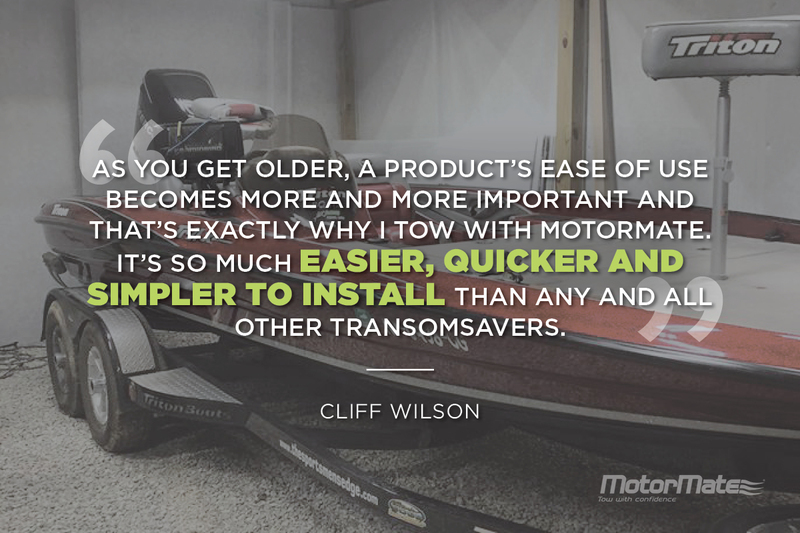 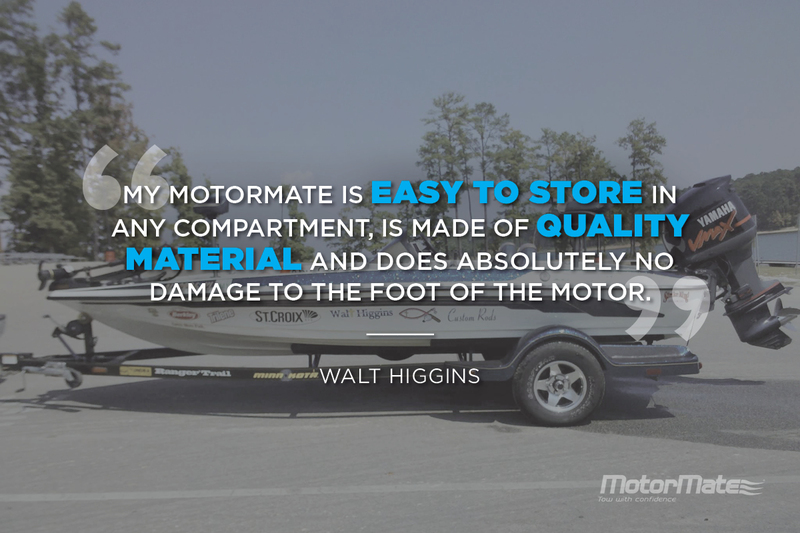 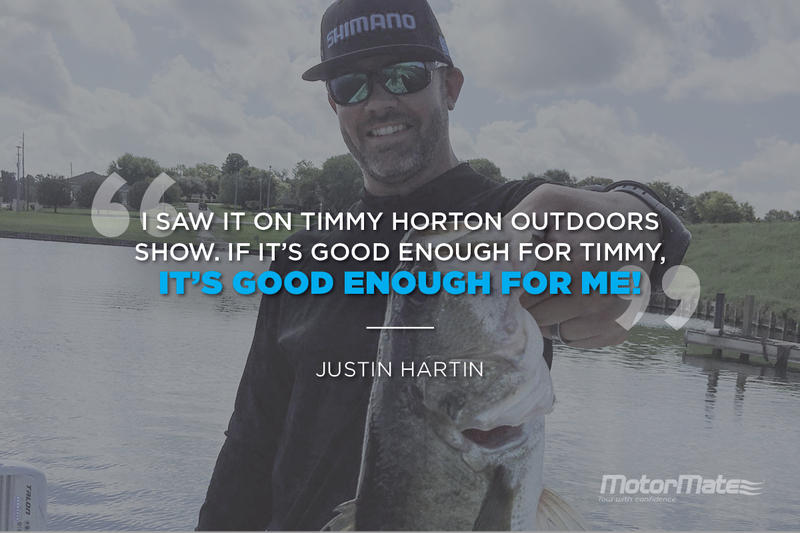 MotorMate was originally designed to eliminate some very specific and common problems present in other outboard motor trailering transom support and stabilization options. 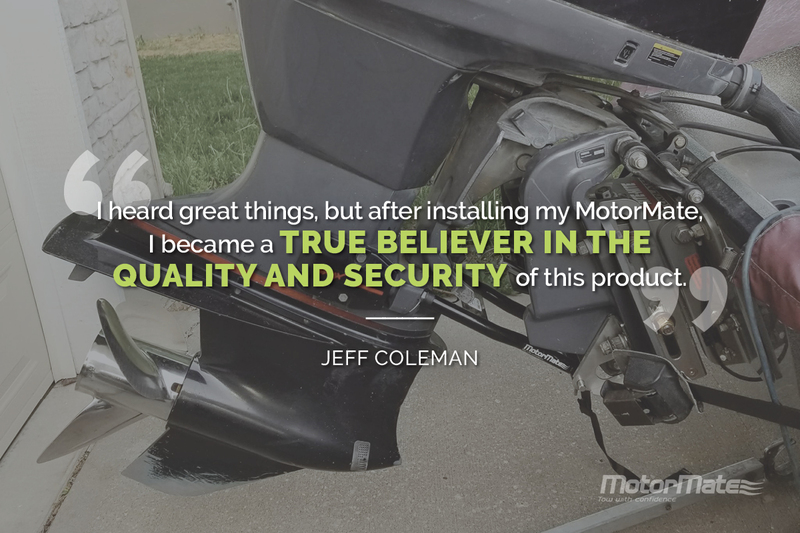 EPCO is proud of the MotorMate design and high-quality manufacturing standards; these principles are what drive us to support MotorMate with a lifetime warranty. 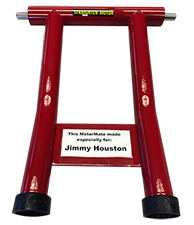 Marine-Grade Stainless Steel: All tubing, plunger, pins and springs are made of marine-grade stainless steel. 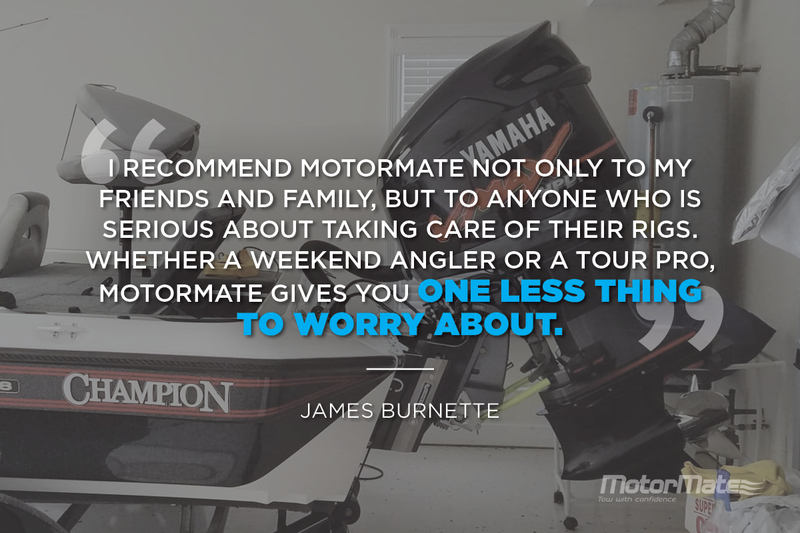 This is important so that it provides a lifetime of service, especially in salt water conditions. 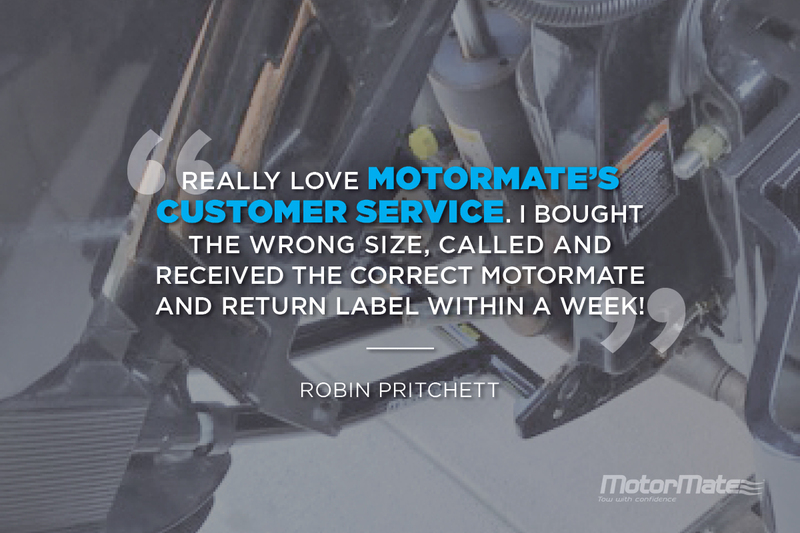 Powder-Coated: MotorMate is powder-coated – not painted – to deliver further durability and product protection. 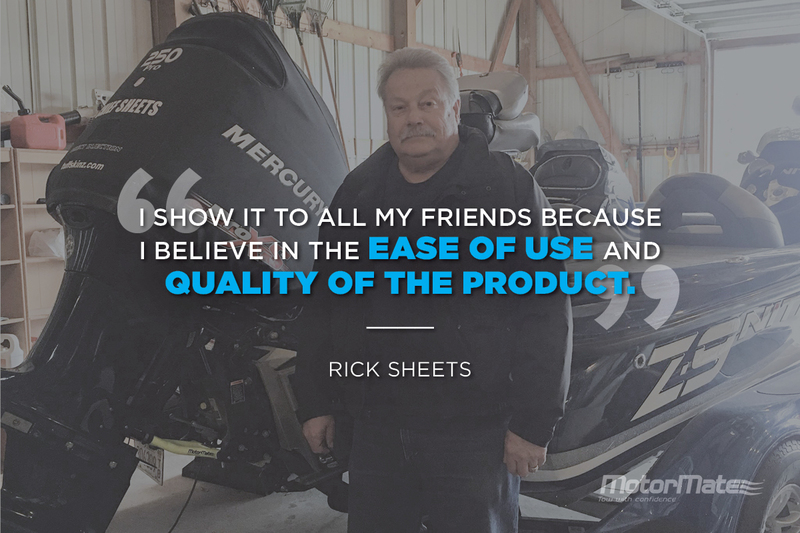 End Caps: One common and major concern from boating experts is that the end caps perform properly. 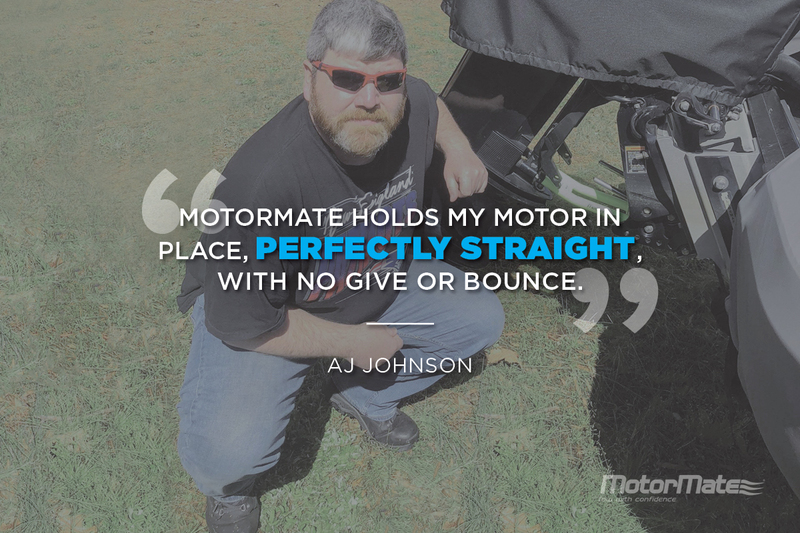 MotorMate end caps are constructed of high-impact nylon and are designed to not cut the ground wire of any motor. 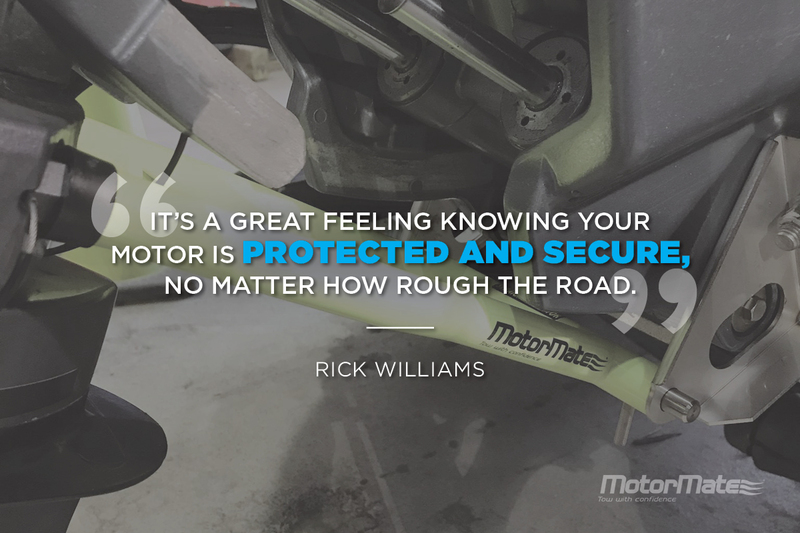 Ground Wire Safety: MotorMate is designed to keep the ground wire safely away from all stress points. 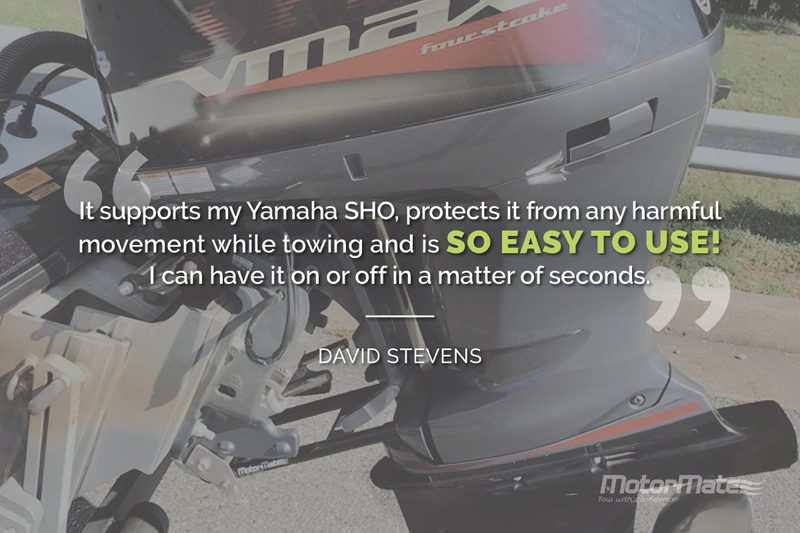 Bend Prevention: Double tube manufacturing is used to help evenly distribute the weight of the outboard motor, therefore preventing bending at any stress points. 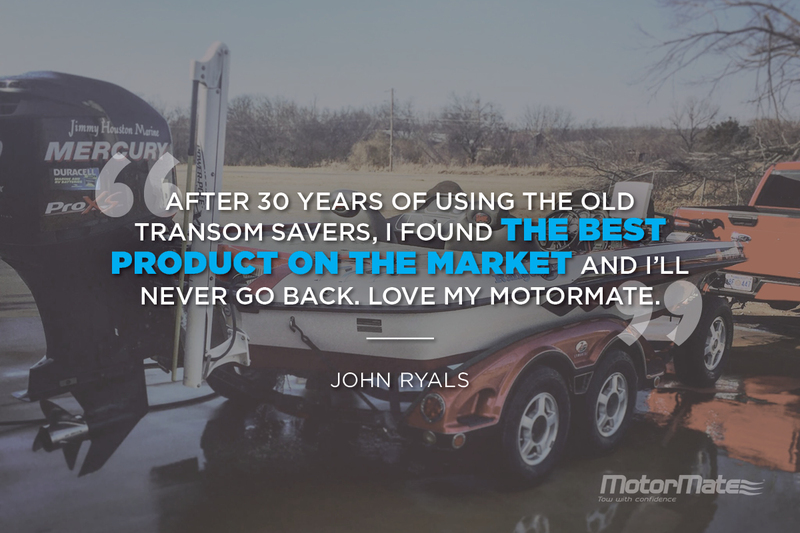 We’re confident our product is your best option for outboard motor transom support. 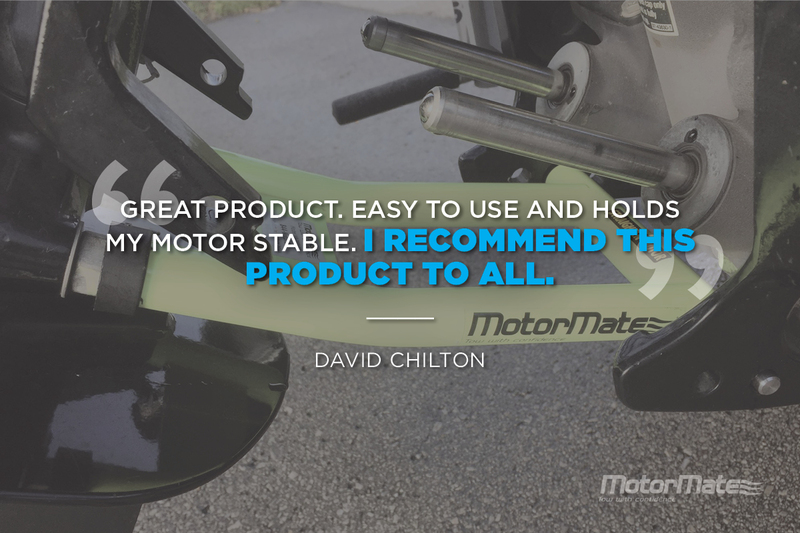 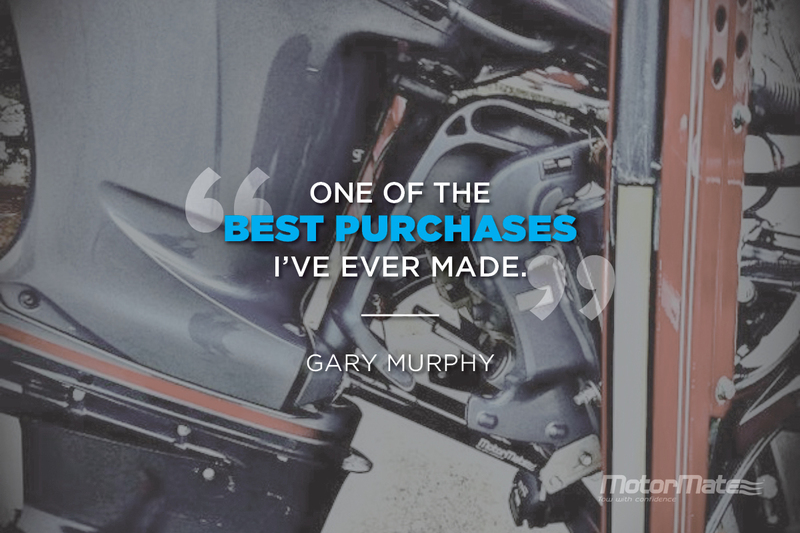 But don’t take our word for it – take a look at what our customers have to say! 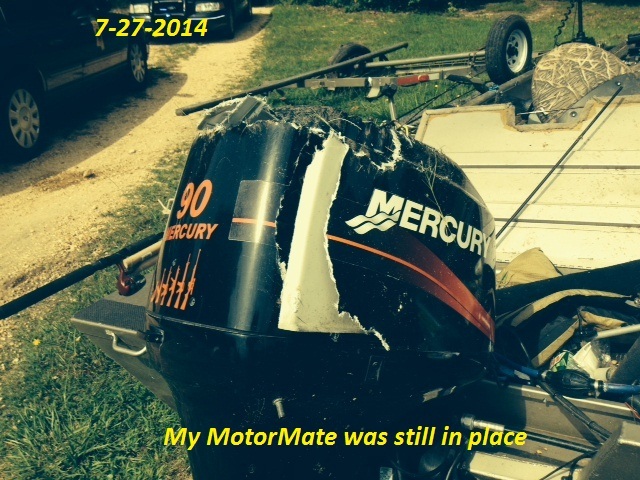 “Just thought you all would like to know that I put your MotorMate to the test on 7-27-2014 and it PASSED! 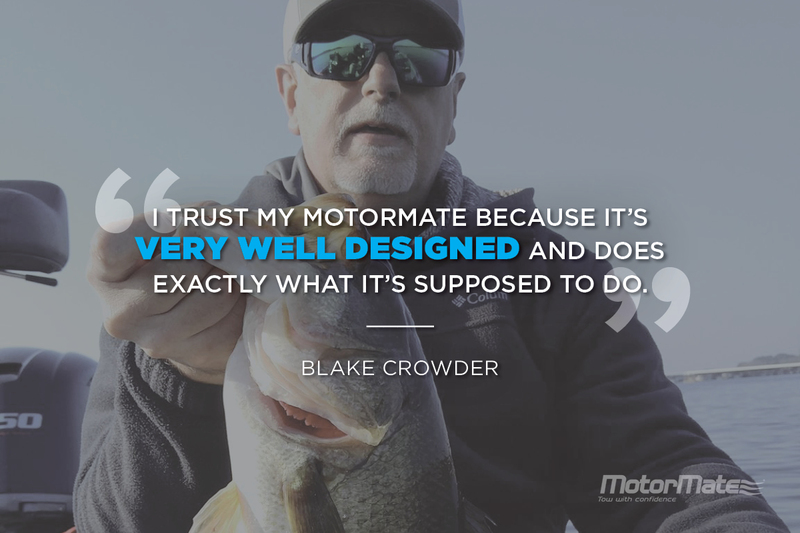 While returning from a crappie fishing trip, I had a blow out on my boat trailer that caused my boat trailer to leave the highway and the location was where the shoulder of the road dropped off about 10 feet. 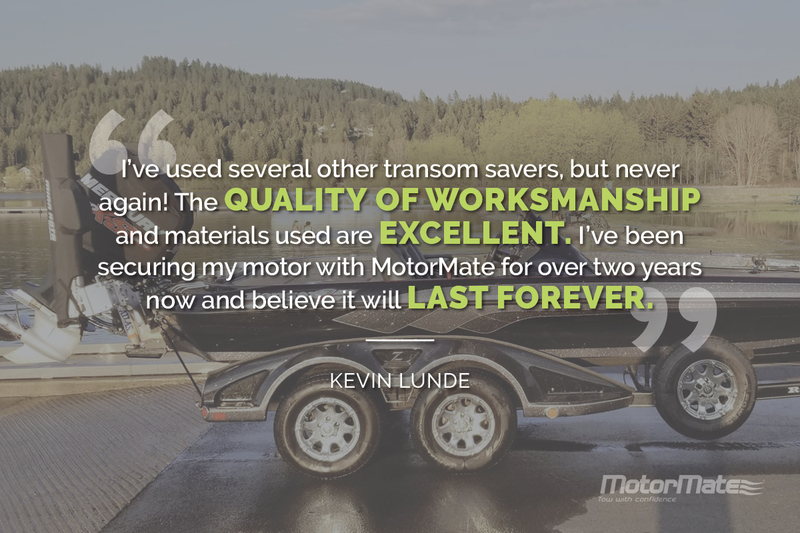 My trailer started to come around beside my truck, thus causing the trailer to start to cross up in highway. 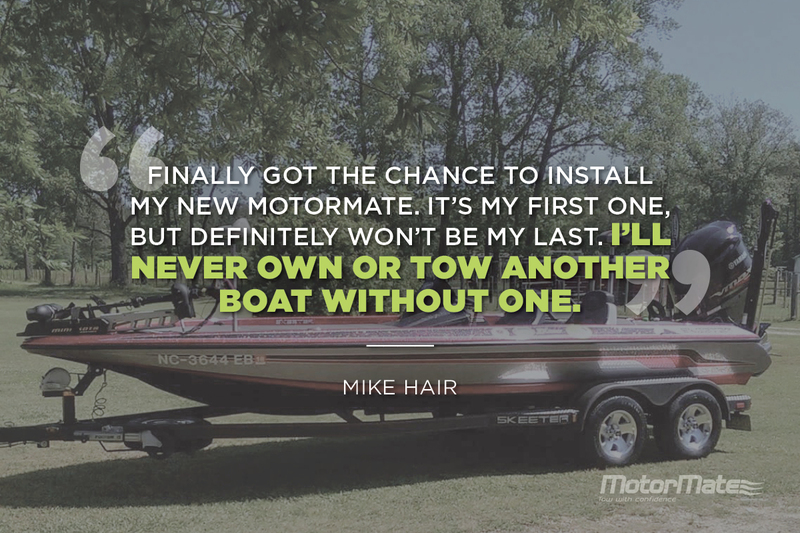 At that point the trailer & boat came up to a driveway and hit the culvert that was under the driveway and then the boat went airborne. 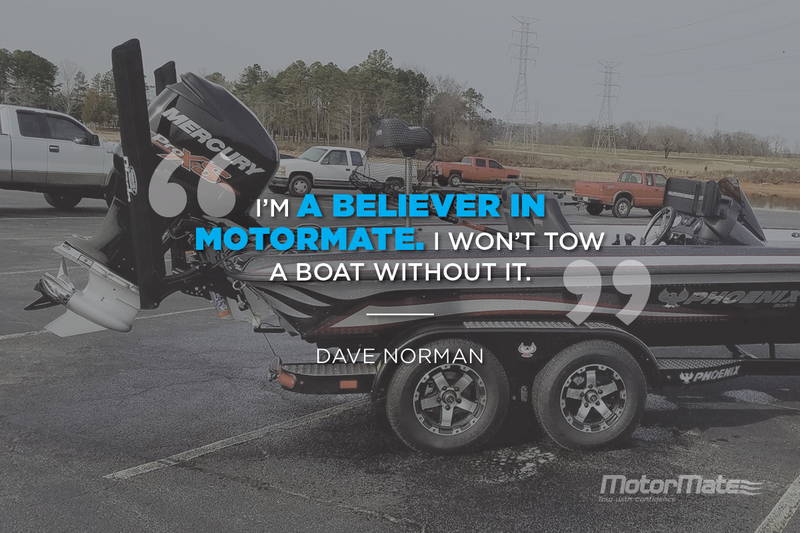 The boat flipped a number of times (I don’t know how many) and when the boat came to rest on the side of highway, it was separated from trailer and had road rash on the bottom and both sides, one side was caved in, and the motor had slammed down on the pavement.